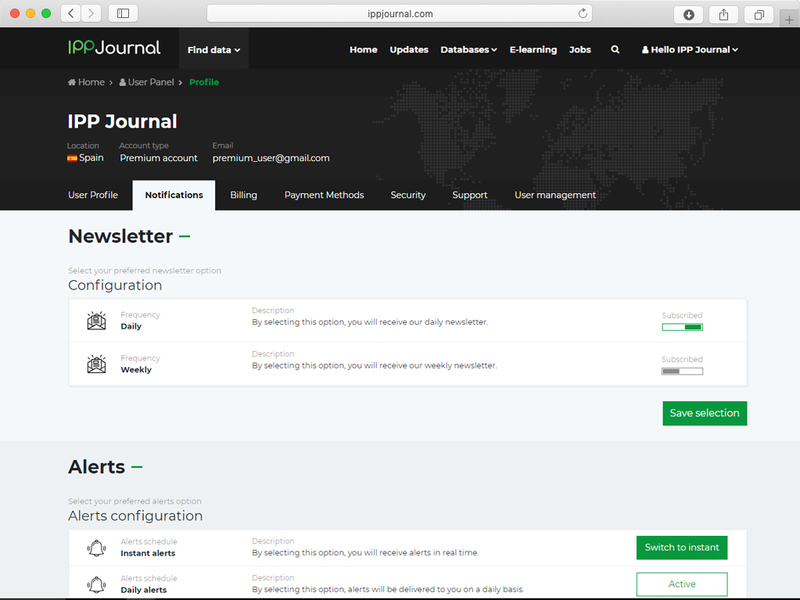 You can purchase a pre-made package or create your own customised subscription, tailored to your needs and interests. 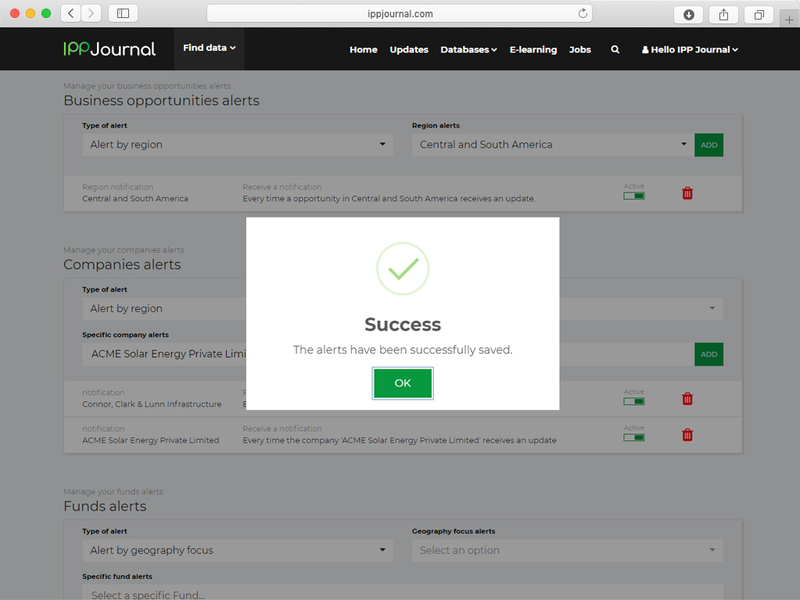 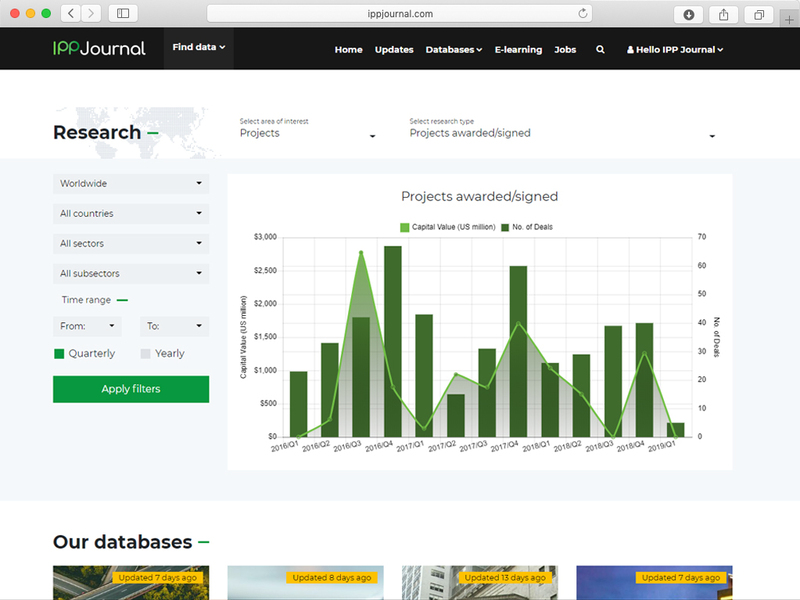 Full access to all the IPPJournal databases, including all our premium features, for up to ten accounts. 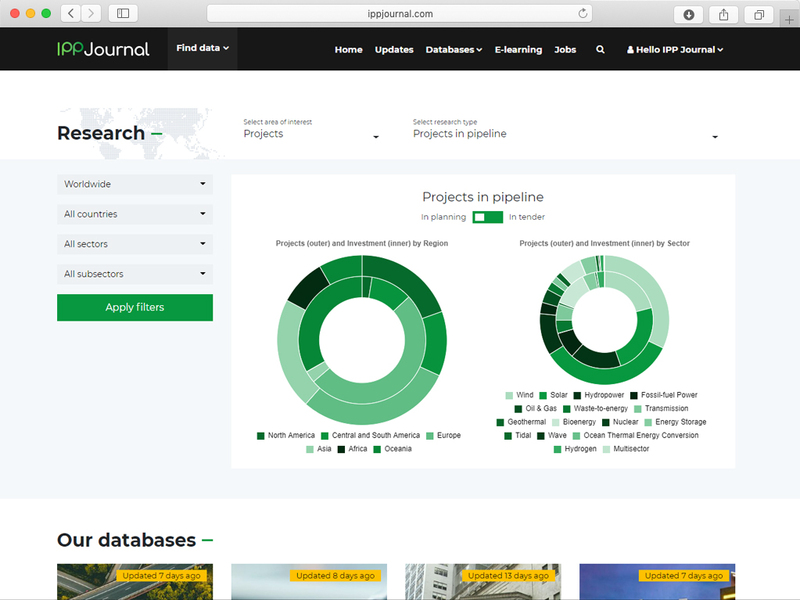 Full access to all the IPP Journal and InfraPPP databases, including all our premium features, for up to ten accounts. 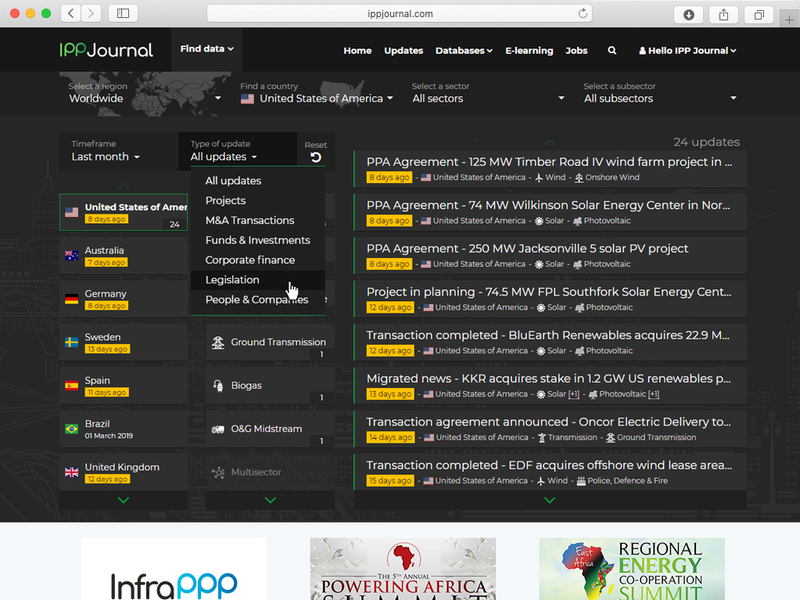 Daily energy news with direct access to related content. 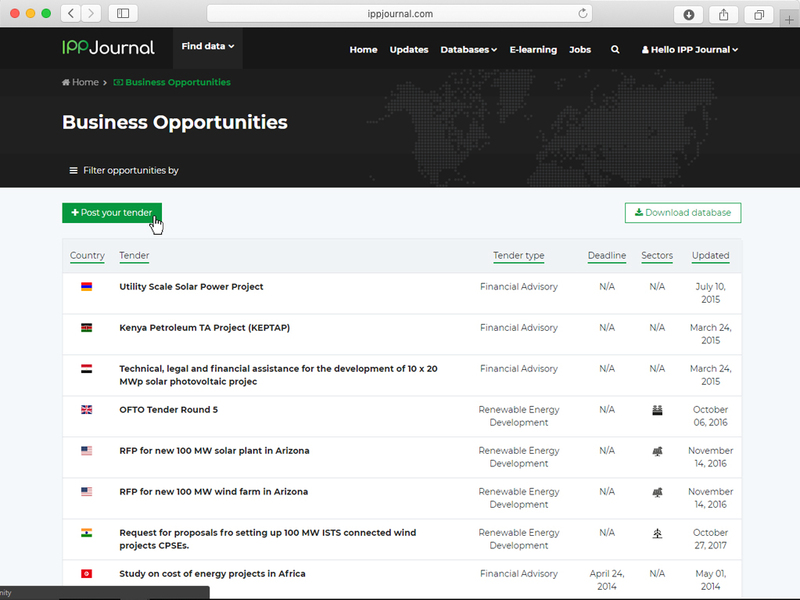 Access to tender notices for projects and consultancy assignments in the energy investment sector. 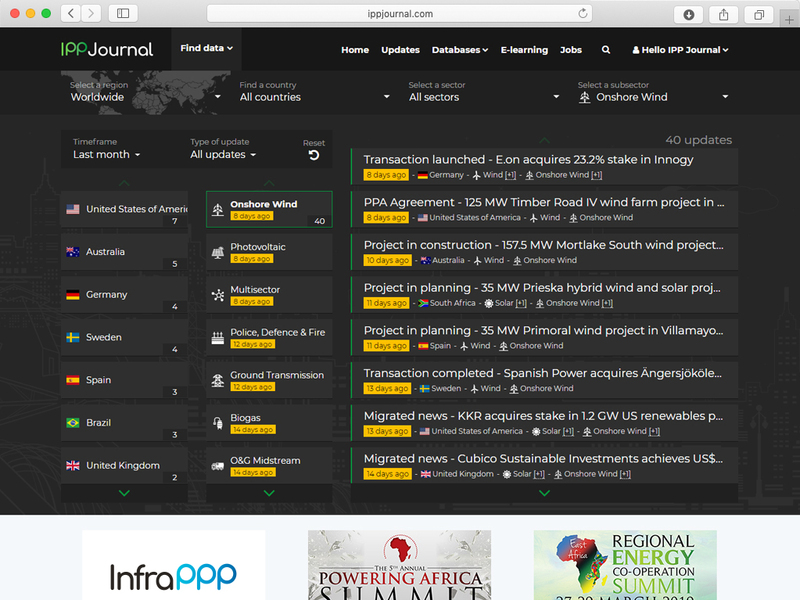 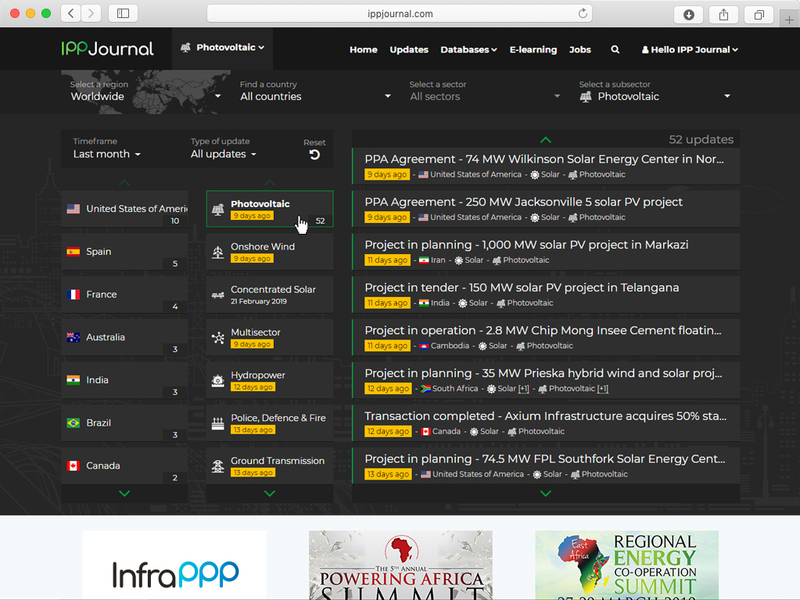 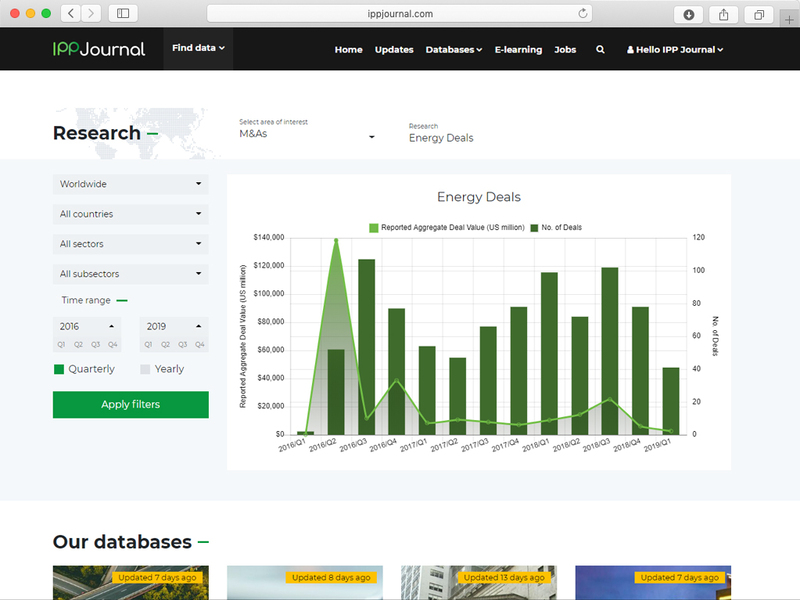 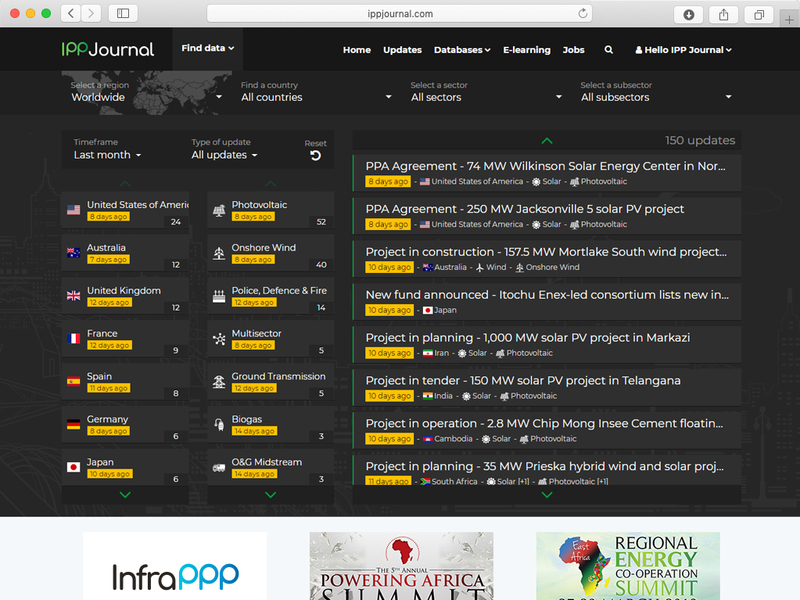 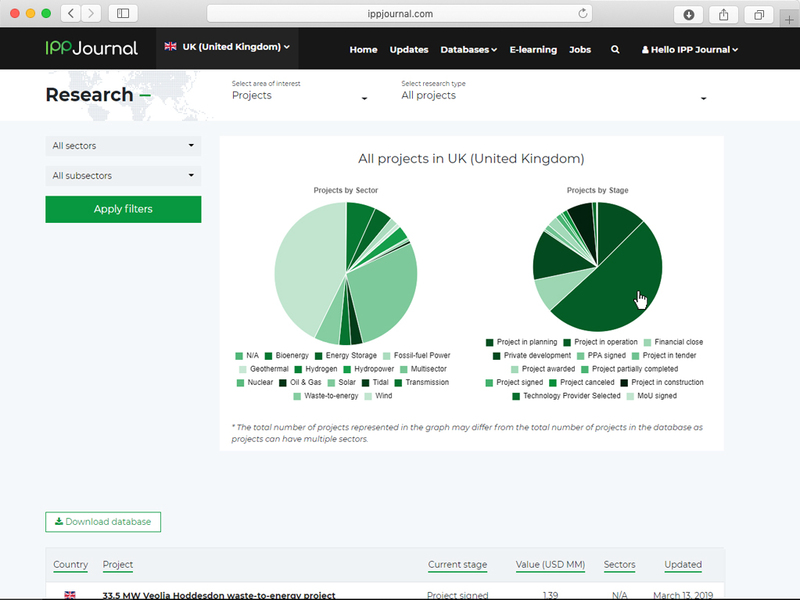 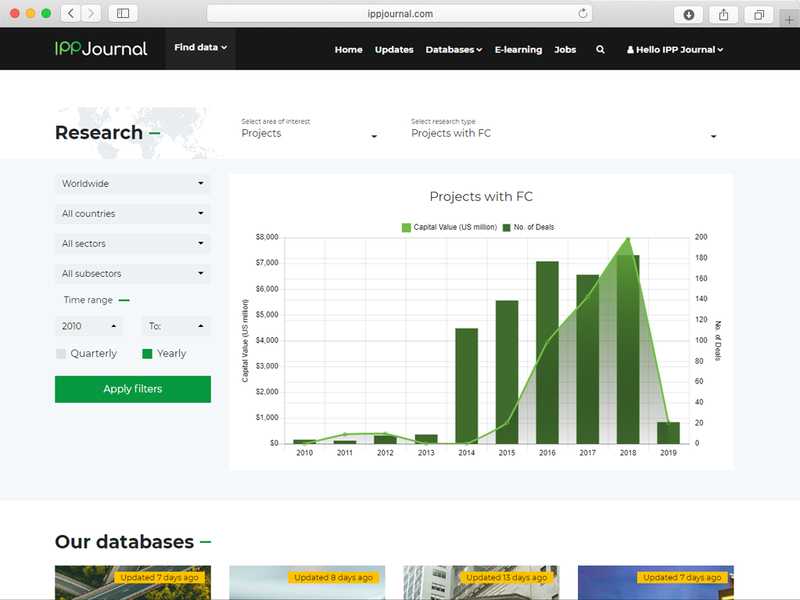 Extensive database of energy projects in development across the world, updated in real time. 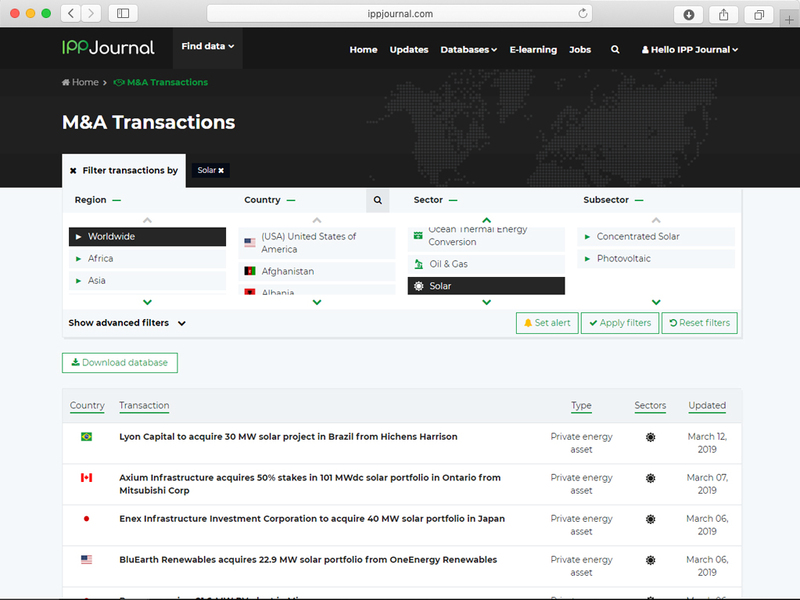 Up-to-date records of mergers, acquisitions and other transactions within the global energy sector. 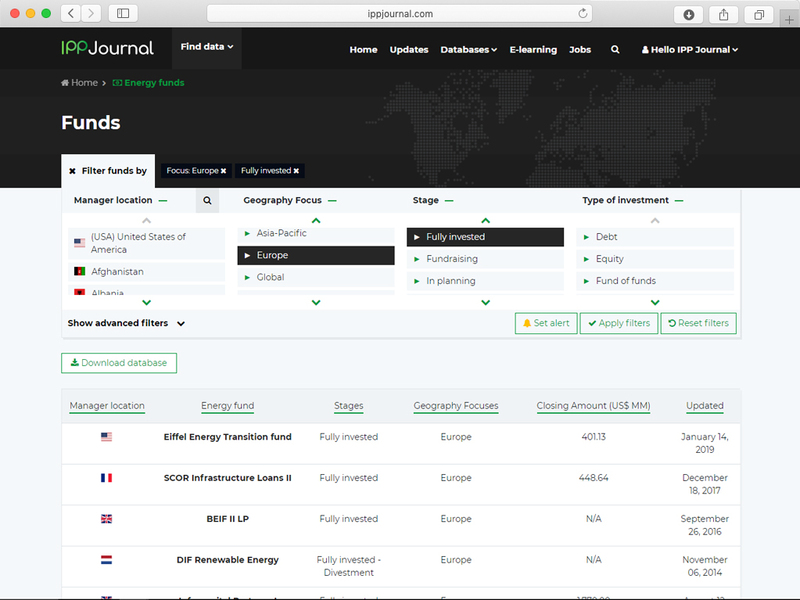 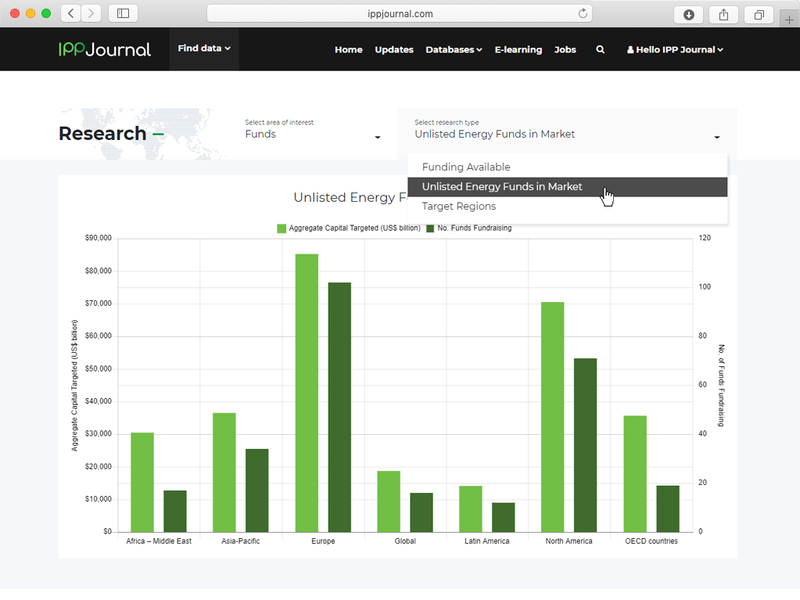 Global database of energy investment funds. 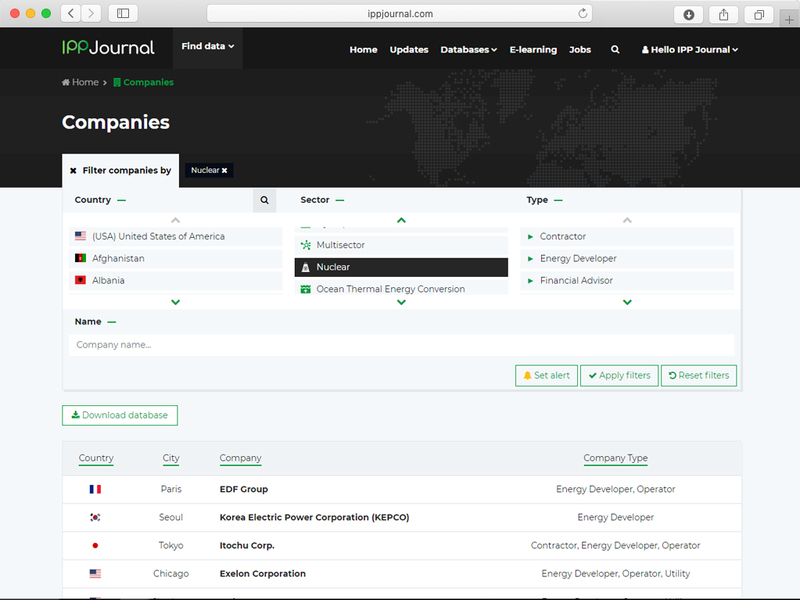 Informative listings of companies operating in the energy sector, linked to related news, database entries and jobs. 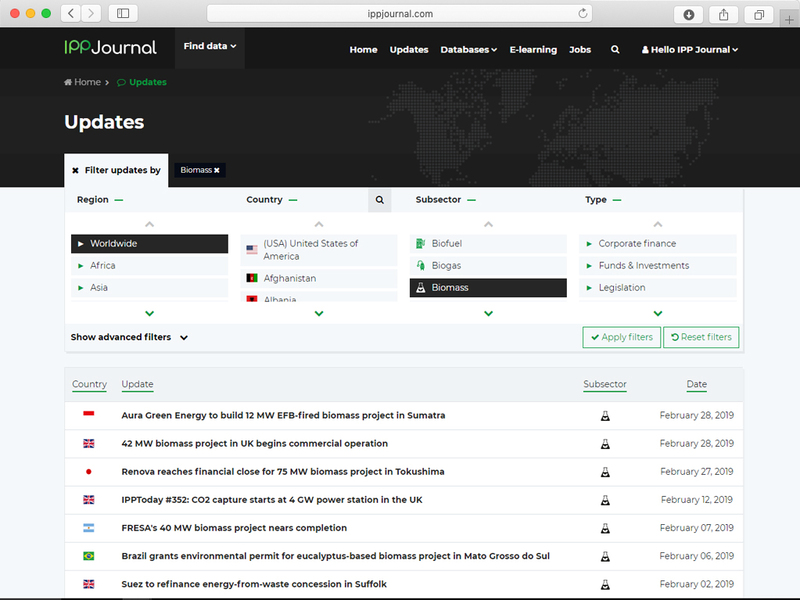 News archives categorized by country, sector and company. 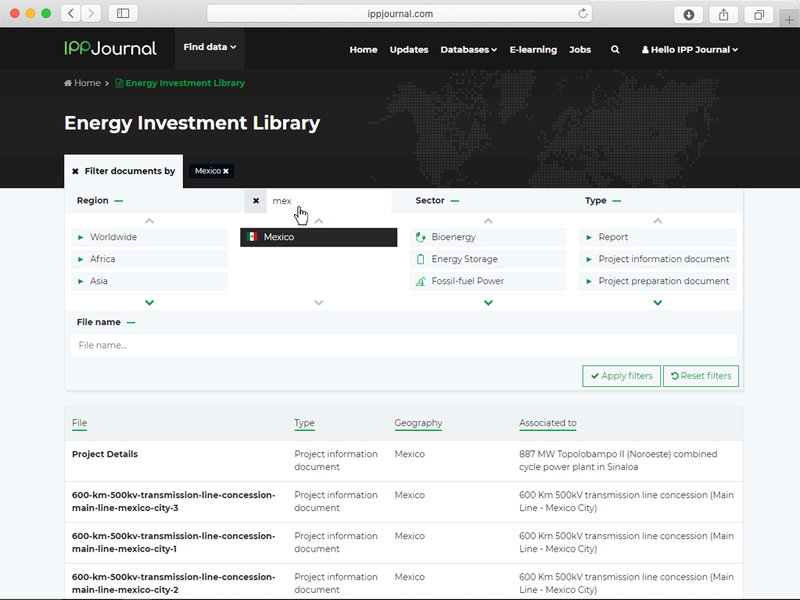 Database of tenders for energy financial, technical and legal advisors. 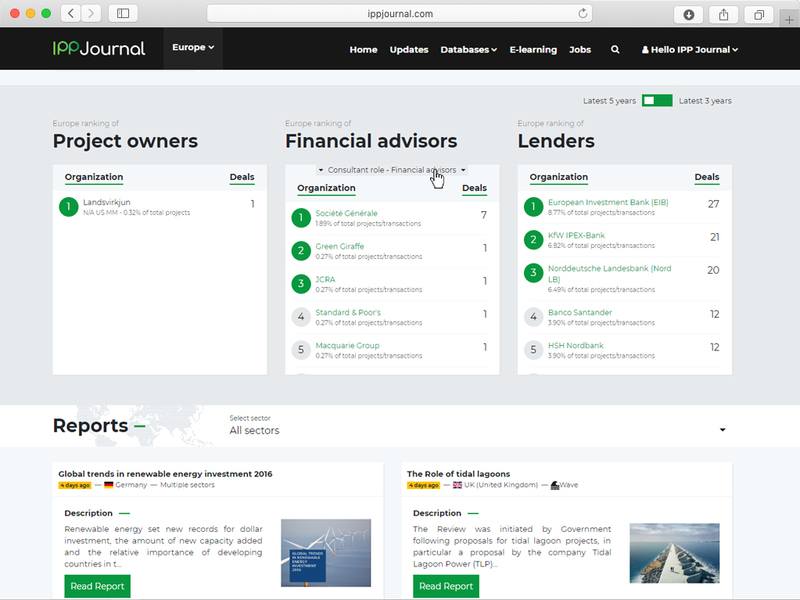 A select summary of the latest developments in the sector emailed directly to your inbox. 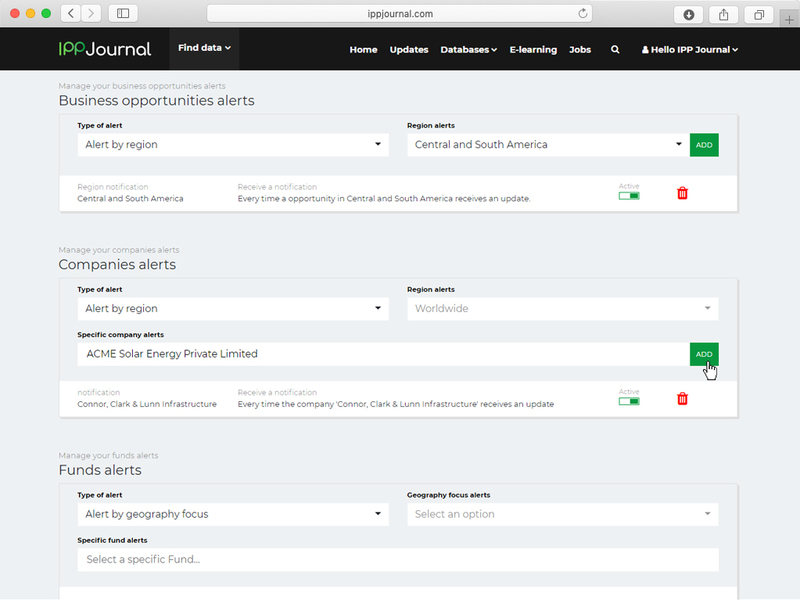 Can I change or cancel my subscriptions after signing up? 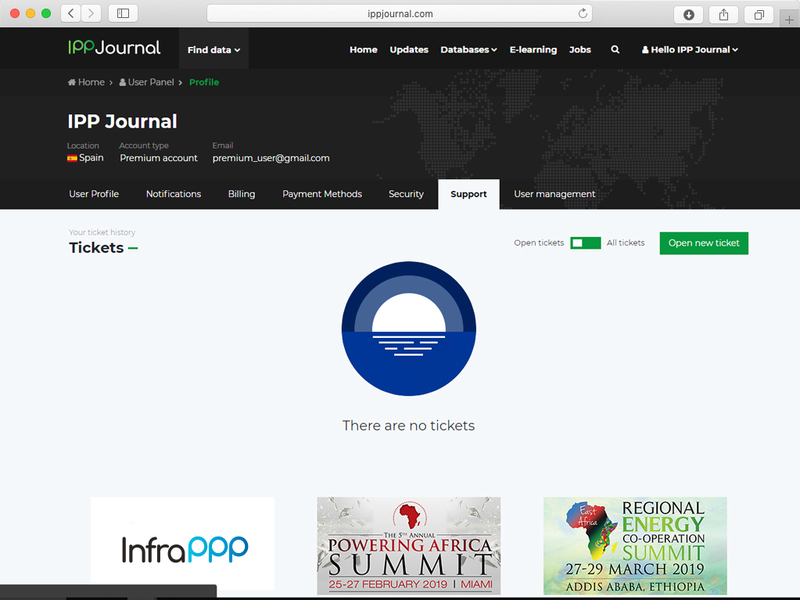 Yes, you can change or cancel your subscriptions from your user panel or by sending us a support ticket. 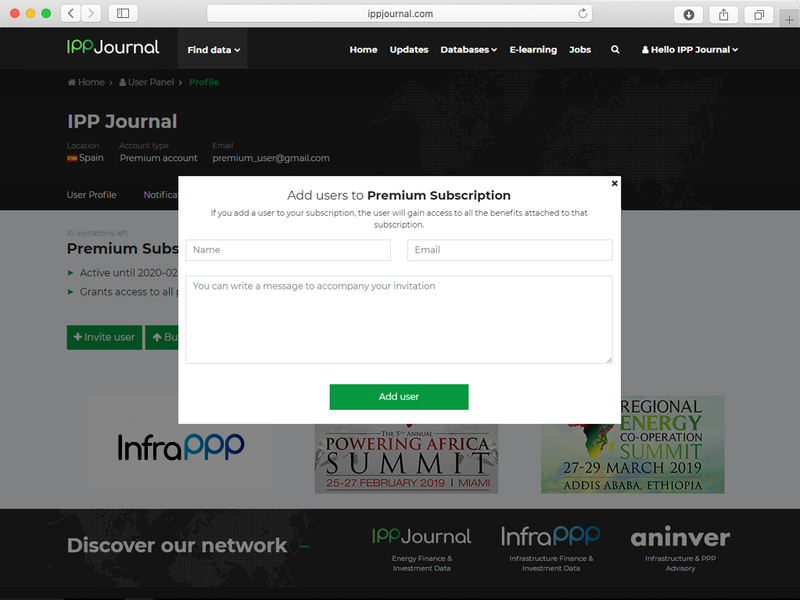 Yes, your subscription will be renewed automatically. 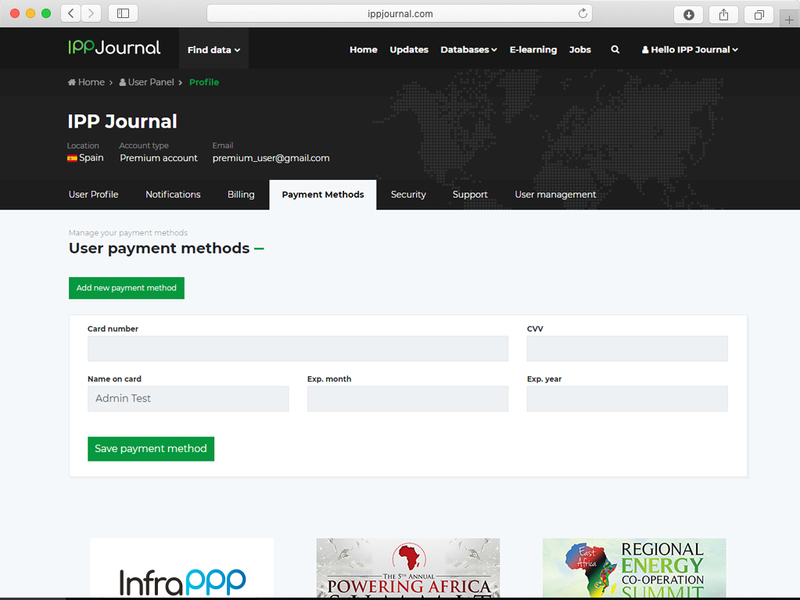 You will be charged via your existing payment method. 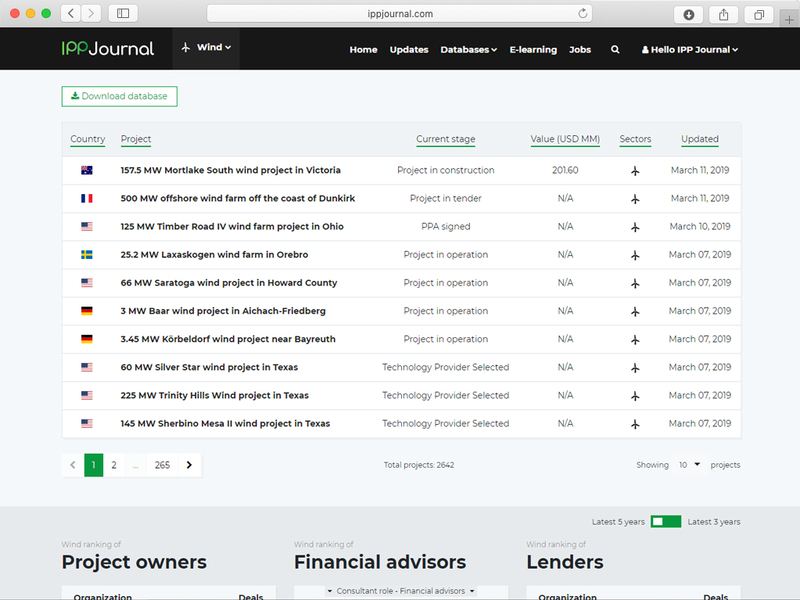 How can I add and manage my team members? 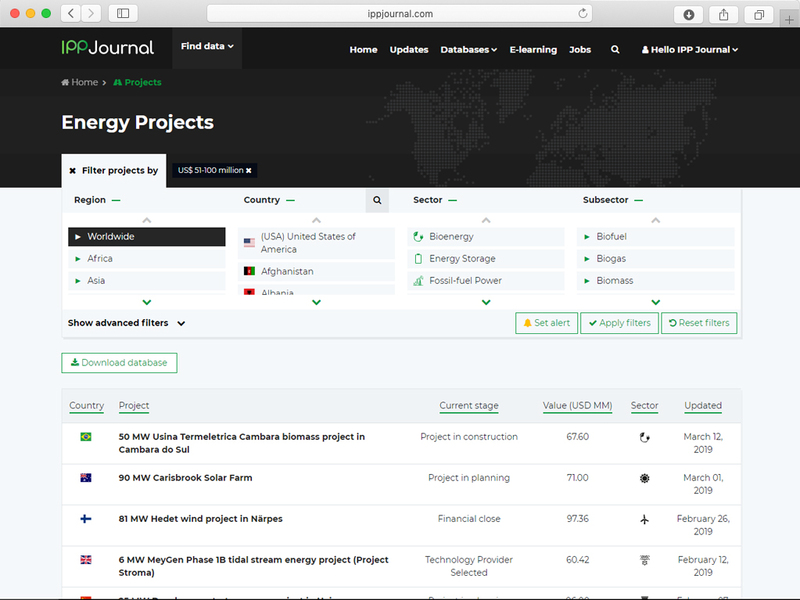 You can add and manage team members in the User Management section of your user panel. 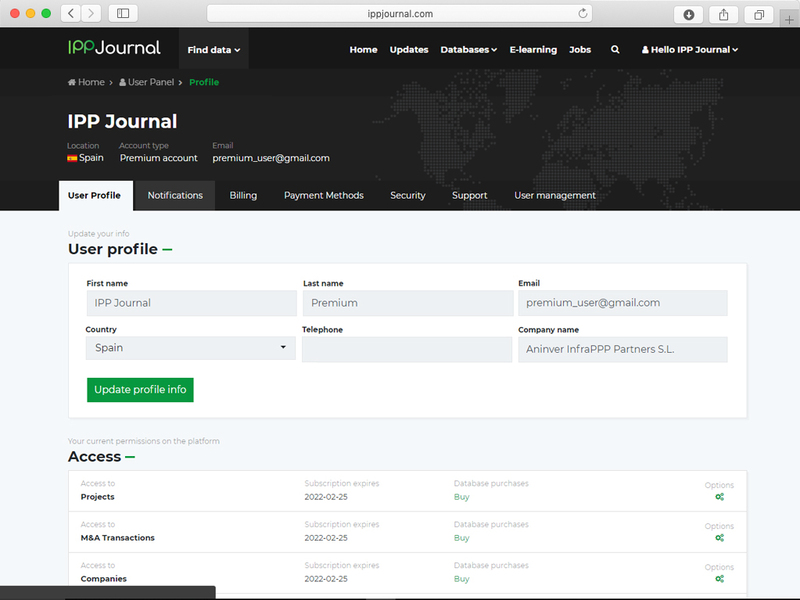 You can change your billing information in the Billing section of your user panel. 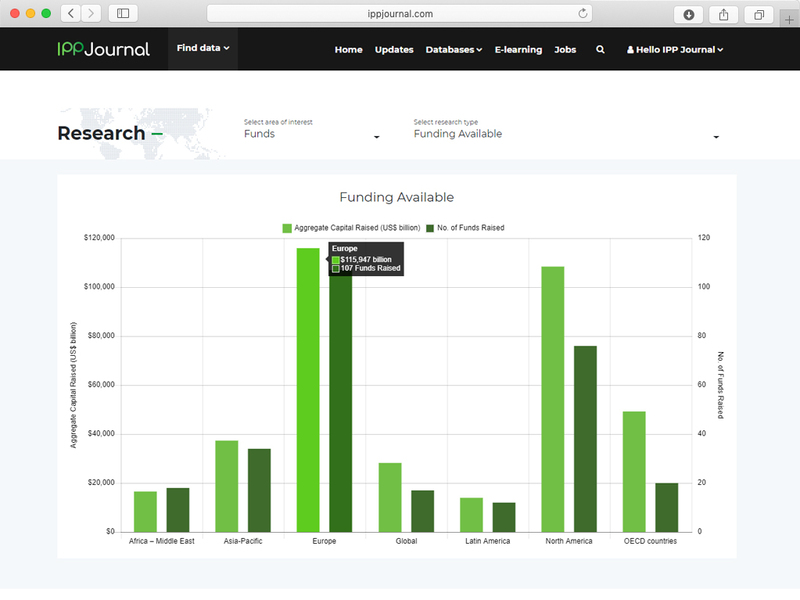 Are invoices available to download? 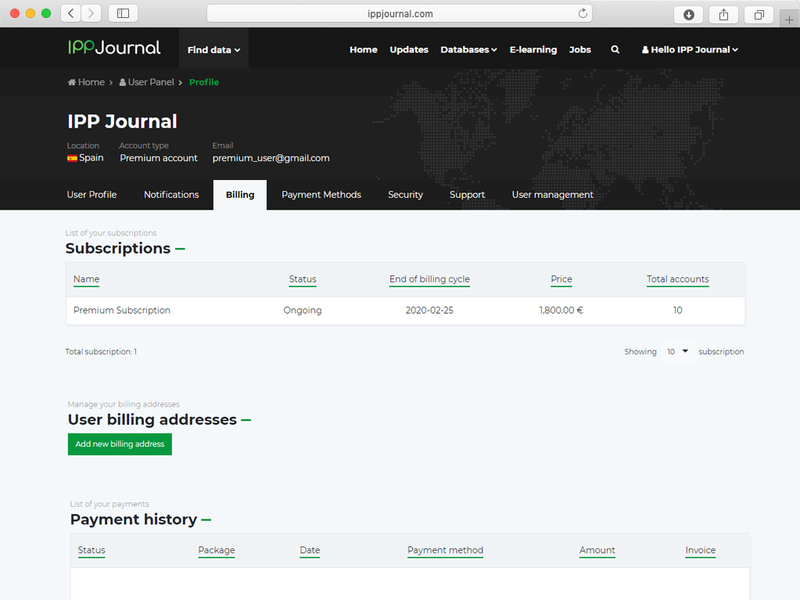 Yes, you can download generated invoices in the Payment History section of your user panel. 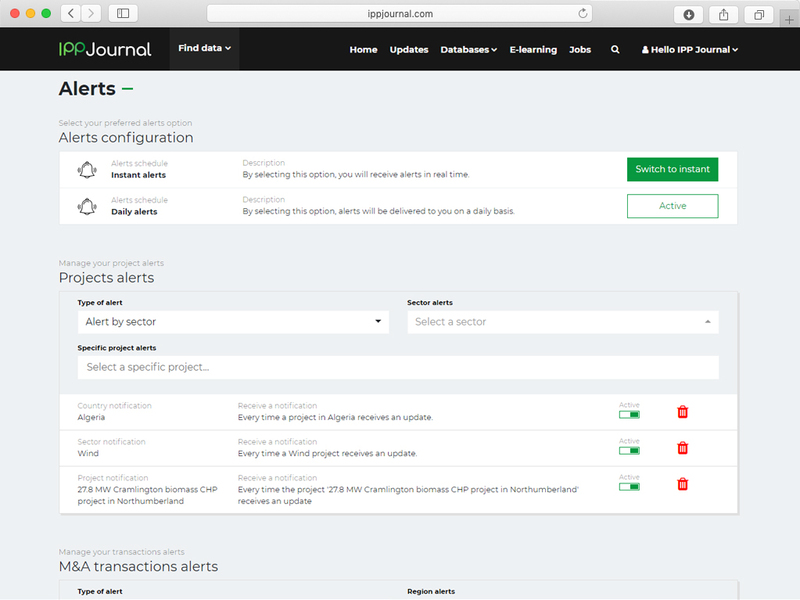 How can I check the activity of my account? 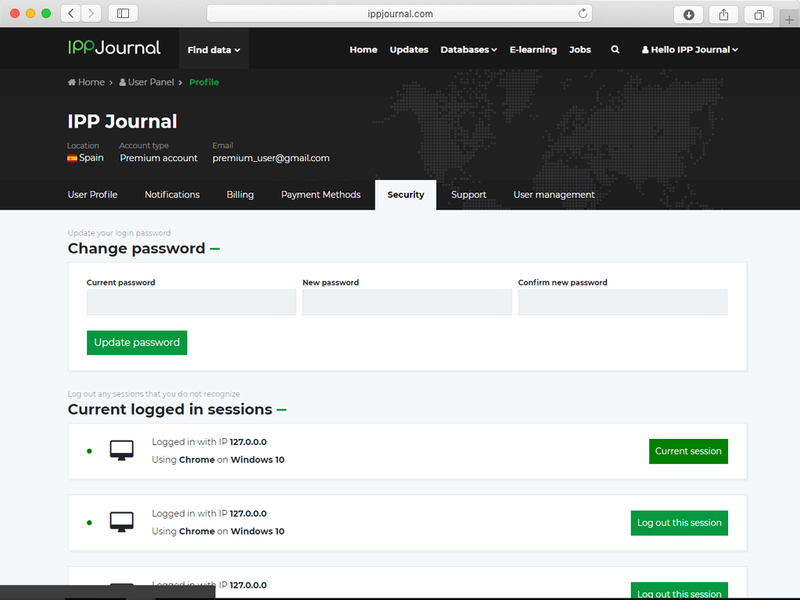 You can check your account activity in the Security section of your user panel.